This guest blog is written by Alex Murray, Assistant Chief Constable, West Midlands Police. Assistant Chief Constable Alex Murray of West Midlands Police has been using experimentation to tackle criminal behaviour. The issue is one of causality – understanding the extent to which the work we do can be credited with (or blamed for) changes to the figures that make the headlines. The problem becomes more acute when there is pressure on policing resources, meaning that we must ensure that every taxpayer pound is spent effectively on getting crime down. Whilst there is no silver bullet, doing what works, or being evidence based, goes some way to tackling this issue. In the West Midlands Police, we have tested a number of initiatives to understand what their effect is. If they work, we consider rolling them out across the force; if they don’t we know to stop using our resources on them. The Turning Point project is one example. It was a randomised controlled trial with 400 participants, designed to test ways of reducing reoffending. In the trial, half of a group of suspects were prosecuted as usual, and the other half signed a ‘Turning Point Contract’ instead. The contracts contained conditions such as adherence to community payback schemes, writing letters of apology, and agreeing to stay away from certain local areas. We saw reductions in reoffending and increases in victim satisfaction for those who were subject to the intervention. As a result of these findings, the West Midlands Police rewrote policy, and we created prisoner intervention teams. Policing is about creating changes in behaviour – among our officers and staff, victims and offenders. So it seems odd that the way we communicate has barely changed in recent years. The advice provided by the police is sensible, by and large, but can be poorly conveyed, and it is almost never optimised to encourage meaningful changes to people’s behaviour. 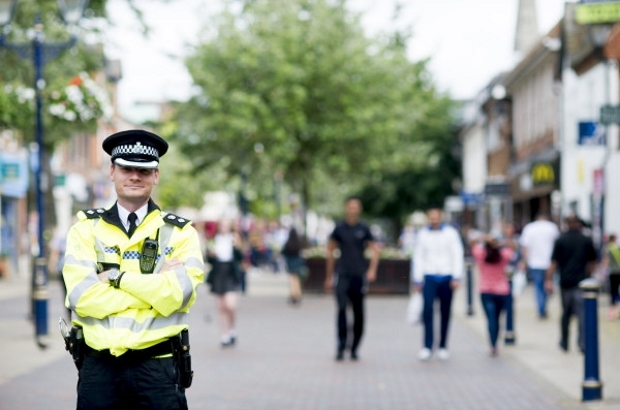 In the West Midlands Police, we’re trying to change that, and recently partnered with the Behavioural Insights Team (BIT) to try adopting the principles of behavioural science in an evidence based way. We’ve been tailoring our messages to make the behaviour we want to encourage easy, attractive and socially relevant. And we’ve been communicating it in a timely way, so that recipients are more likely to respond positively. Crucially, we’re testing these new messages by comparing them against our standard communications. By experimenting with the design of their speeding penalty letters, West Midlands Police have reduced speeding reoffences and prosecutions for late payment of penalties. This approach has led to real improvements. A couple of years ago, we ran a randomised controlled trial with over 15,000 participants, in which we compared our standard speeding penalty letter with one that showed a picture of a memorial on a lamp post along with data that showed how many people were killed by speeding drivers. We saw increases in payment, huge reductions in those going to court and, most importantly, less reoffending. Being evidence based also means having the integrity to understand that some initiatives don’t work. We thought we had a bright idea a few years ago. Noting that most crimes are committed by a small proportion of offenders – and that when they are in a cell we have a captive audience – we decided to test the effect of exposing them to motivational graffiti to challenge their world view. Using a difference in differences methodology we were able to track reoffending rates to identify the marginal gains this approach could have – and it didn’t have any. The approach failed. 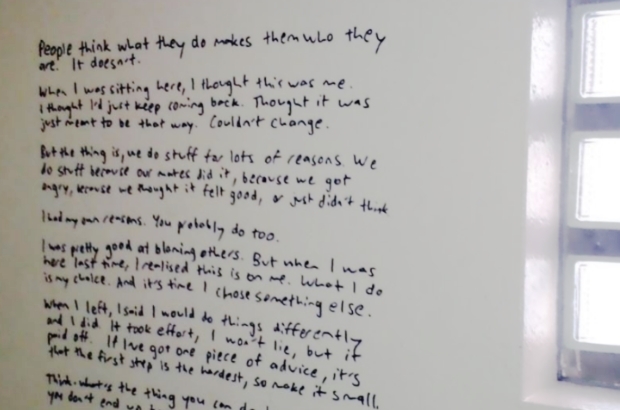 An experiment by West Midlands Police tested whether motivational graffiti which was daubed on prison cell walls could reduce reoffending. The trial showed no significant effect. Over the past few years, we have experimented with organised crime group interventions, taking DNA differently, strategies to reduce domestic violence, and how we police crime hot spots. Even where these approaches haven’t worked, all the experiments have helped us understand which practices are more or less effective – which should influence how we invest our time. Outside West Midlands Police, I have founded the Society of Evidence Based Policing. It is growing in influence in the UK, where we have 3,000 members, and internationally with chapters in Australia, New Zealand, the USA and Canada. These groups, run by volunteer professionals and researchers, aim to use, communicate and produce evidence of what works to increase the impact policing makes. You can visit the UK’s website here. It takes you one minute to join and I would encourage you to do so (it’s free! ).